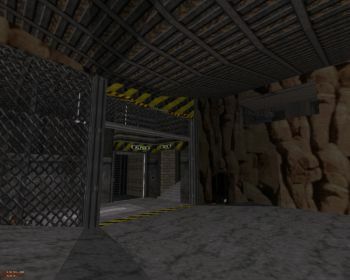 Description: After two urban maps Duke finally finds himself in the midst of dry Californian desert heat in underTaker's third map, a sequel to Forever and One More Day and Day After Forever. Desert Complex is a medium-size hi-tech/desert map. Into It: What starts off as an outdoor map soon turns into a hi-tech complex. This is slightly disappointing because underTaker's take on the desert theme shows some promise. The map's layout is slightly confusing, in fact more so than previously because hi-tech locations have a bad habit of getting repetitive much quicker than urban locations. The crampedness of some areas doesn't help either and, apart from the few outdoor sections, overall design is actually less impressive than in the two urban prequels. 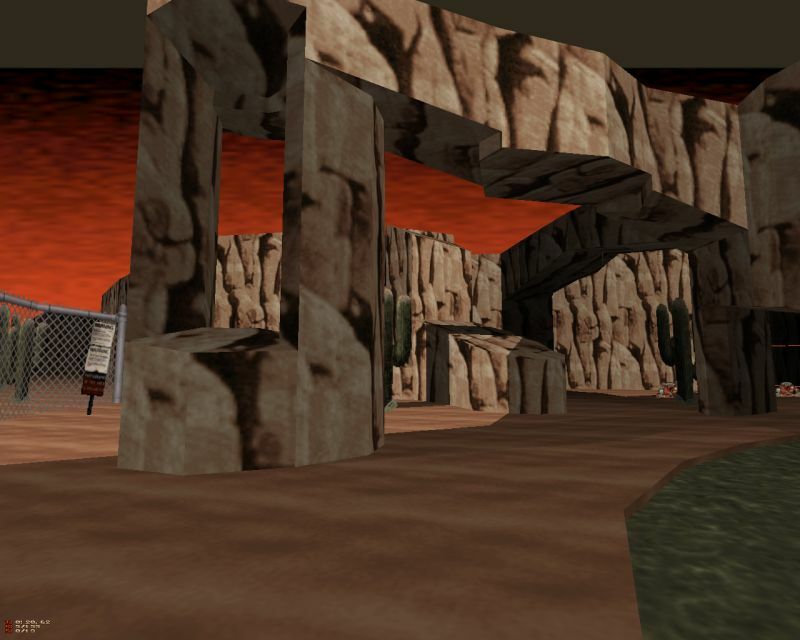 Nevertheless, Desert Complex is a well-designed map with solid texturing and lighting. It's definitely at its best outdoors where there's a nice contrast between the red sky and the brown desert terrain. The map has a challenging item-monster ratio, resulting in the player being low on health on several occasions. A lot of this has to do with the routes you happen to pick: on my second playthrough I was severely out of ammo because I happened to pick an unfavorable route. Combat is good except on those occasions where your movements are constrained by the sometimes cramped environment. The map rewards exploration and provides easily more than 20 minutes of gameplay. Conclusion: Unlike most maps these days, Desert Complex provides a fair challenge even to a seasoned veteran and has plenty of length and exploration to go around, even to the point that some are bound to get badly lost. While the map is well designed throughout, it's more "complex" than it is "desert" and therefore doesn't quite live up to its potential, that is, a slightly more varied map.